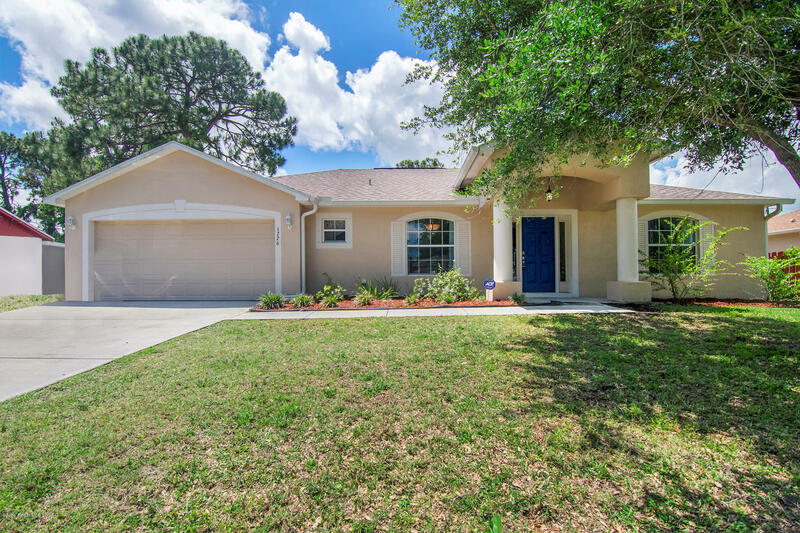 TAKE A LOOK AT THIS IMMACULATELY MAINTAINED ONE OWNER HOME LOCATED JUST MOMENTS FROM BAYSIDE LAKES SHOPPING, SCHOOLS AND DINING! THIS HOME HAS AMAZING CURB APPEAL AND IS LOCATED IN WELL ESTABLISHED COMMUNITY. HOME HAS ONE OF THE LARGEST SCREENED IN BACK PATIOS AROUND PLUS A HUGE FENCED IN BACK YARD WITH MATURE TREES AND PLANTS! WITHIN YOU WILL FIND SPACIOUS ROOMS INCLUDING A FORMAL DINING ROOM, FAMILY ROOM, EAT IN ISLAND KITCHEN WITH BREAKFAST BAR AND STAINLESS STAIN APPLIANCES. PLUS YOU'LL LOVE THE LARGE LAUNDRY ROOM WITH LOTS OF STORAGE AREA. THE HOME HAS CUSTOM TREY CEILINGS IN THE KITCHEN WITH RECESSED LIGHTING AND PENDULUM LIGHTING OVER THE BAR AS WELL AS VAULTED CEILINGS THROUGHOUT. ADDITIONALLY YOU'LL FIND LOTS OF CUSTOM CUT OUTS, SHELVING AND DESIGN THROUGHOUT. CALL TODAY!! !